A major in Film Studies provides you with the breadth of knowledge and skills needed to pursue careers in the entertainment industry, in film archiving and preservation and in film festival programming. Individuals with a background in Film Studies also go on to work on the staffs of nonprofit organizations, as critics and arts journalists, as independent artists and as teachers. Film Studies majors engage with the entire culture of cinema, learning to think and write historically, theoretically and critically about film. Film Studies is an interdisciplinary program, which draws on the research and teaching expertise of internationally-recognized faculty from departments across the humanities. Our majors complete core courses in world cinema and the fundamental tools of film analysis; fulfill requirements in early cinema, multicultural film studies and the documentary and experimental traditions; and go on to take a series of elective courses, eventually designating a three course focus area for their studies. The Film Studies Program draws on the expertise of award-winning and internationally-recognized scholars and practitioners. For example, Angus Fletcher is an award-winning screenwriter and Academy Nicholl Fellowship in Screenwriting recipient who teaches students the skills needed to secure internships and to become professional screenwriters. Linda Mizejewski is the author of the award-winning Pretty/Funny: Women Comedians and Body Politics. She has also served on the board of directors of the Society of Cinema and Media Studies. For more information visit the Film Studies website or view the university's major curriculum sheet. Have a question about Film Studies or want more information? Let us know. The main goal of the Film and Video Society FVS is to bring together students who have a passion for film, whether that be making movies or watching movies. We want to give these students a chance to interact with the hopes that collaborations and friendships will be made. The Film Studies Program is proud to announce internships that are being developed locally in Columbus, Ohio. We currently have non-paid/for-credit internships that coincide with video production, film exhibition and film criticism. We can help students find local internships to which to apply for each term, as well a summer internships. The Film Studies Program believes that internships are an important part of the academic experience adding important development opportunities for students pursuing careers in aspects of film production and film studies. Film Studies strives to help students obtain summer internships to supplement their academic career and professional development. The Film Studies major concentrates on cinema as an international social practice and shapes its study as a humanistic discipline. 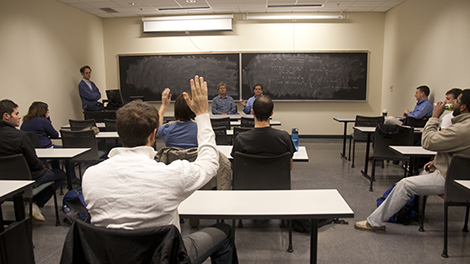 Students complete a prerequisite introduction to film and then go on to core courses in basic film analysis, history and theory; take classes in early, multicultural and experimental traditions; choose film studies electives; develop a focus area in consultation with a faculty advisor; and complete an intensive senior seminar. Traditionally, graduates with a BA in Film Studies pursue higher education in film studies or media-arts production, distribution, funding, archiving, research, journalism, arts criticism and traditional and non-traditional education at a variety of levels including P-12 education. They have been competitive in graduate school acceptance and in job searches nationally in these areas. Students are also prepared for the kinds of positions requiring critical and information-analytical skills in government, nonprofit organizations and industry that are open to other students majoring in the arts and sciences. A 100% online introduction to the field of Film Studies based on a survey of the major theories of film analysis. Prereq: Not open to students with credit for 2270.01 or 2271 (270). GE VPA course. A course in the films, style, themes and career of a single director (ex. John Ford, Alfred Hitchcock, Stanley Kubrik, Oscar Micheaux and Guillermo del Toro). Prereq: 2271 or 2367.01, and Jr standing, or permission of instructor. Repeatable to a maximum of 6 cr hrs. Explorations of the rich interconnections between the understanding and the production of moving-image works. Students will be introduced to alternative modes of the moving image in the context of other modes of artistic expression and critical thought, with the aim of increasing intellectual breadth and production skills. Prereq: 2271, or Grad standing; or permission of program. Graduates may go on to a wide range of careers, including cinematographer or producer; critic, actor or arts journalist; independent filmmaker; drama coach; film editor or photographer; story editor; sound editor; theater manager or publicist; casting director; community arts worker; film director or film editor; and more.